Would you share your Fitbit data to save money? Theoretically it makes complete sense. Sharing your health data should result in significant value back to you, but is the risk of sharing all your sweaty statistics worth it? For anyone who owns a FitBit or similar wearable, having that additional layer of data about yourself is empowering. Who knew I was walking 5 miles a day on average? 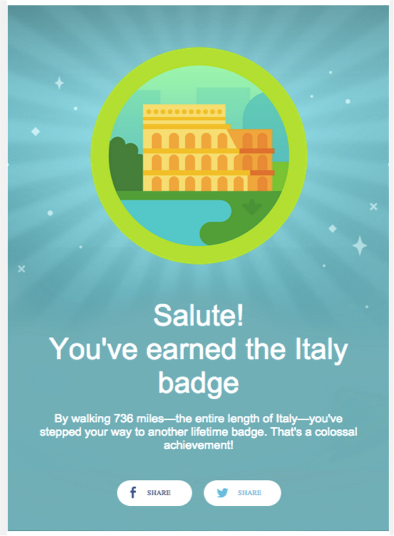 I also never would have known that as of yesterday I walked a total of 736 miles — the entire length of Italy — according to FitBit which sent me an Italy badge to celebrate the milestone. Some 22 million fitness-tracking devices were sold in 2014, and 66 million sales are expected by 2018 “with about a third coming from corporate-wellness programs,” according to Bloomberg. 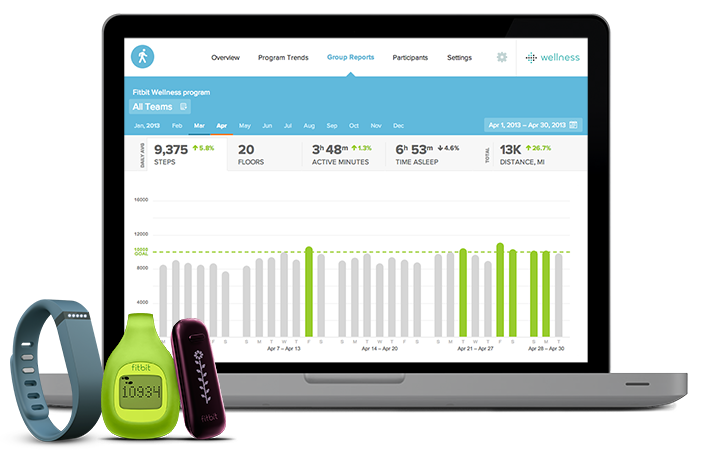 FitBit has an entire division dedicated to corporate wellness programs that integrate the device. Not only is the model scalable, it’s proving itself. BP set a pretty impressive example with Cory Slagle, a 260-pound former football lineman. Corey was given a choice by the oil company: either wear a fitness tracking bracelet and get healthy, or keep paying high premiums. Soon after, Cory wore his first wearable to start earning points toward cheaper health insurance. Over the course of several months, Cory, 51, logged over 1 million steps. Fast forward 6 months and Cory has a new exercise plan, is eating green, dropped 10 pant sizes and lost 70 pounds. His bank account gained $1,200.